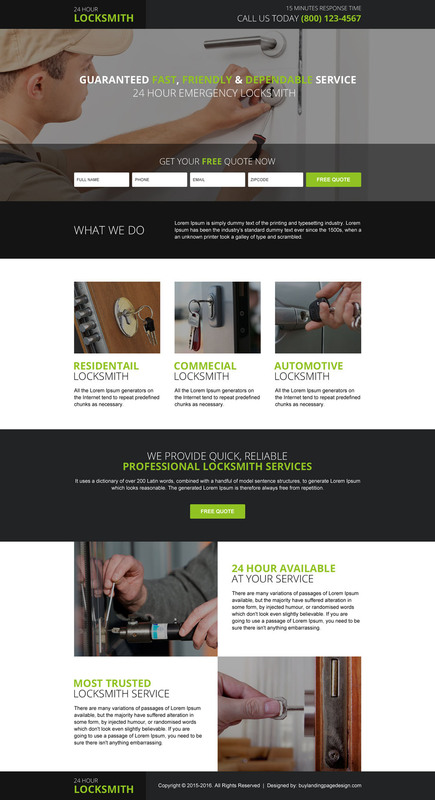 Getting low conversion rate for your locksmith services online? We have the best, professional and converting locksmith lead generating landing page designs for you to promote your services online and get best conversions possible. Locksmiths provides services like fixing broken locks, making keys, and installing security systems like alarms etc.